Touted as the ultimate, multifunctional health elixir, the love for coconut continues to grow. Whether it’s been used as a skincare ingredient or oil, the health-driven desire for coconut doesn’t seem likely to fade. However, the recent growing preference for the grain that is quinoa has begun to rival that desire. Quinoa (pronounced as keen-wha) is a flowering plant that produces edible seeds that are cooked and eaten like a grain. Hailing from the Inca Empire, it was referred to as the mother of all grains. Times haven’t seemed to change as a few years ago, the UN declared 2013 as The International Year of Quinoa due to the role it would play in food security worldwide (1). With terms like superfood and super grain used to describe quinoa over the past few years, one has to wonder just what all the fuss is about. What makes this grain so special and important that NASA scientists once considered growing the plant in outer space (2)? Mineral deficiency is quite common as not enough of us are getting adequate amounts of important nutrients. This is why it’s vital to regularly consume nutrient-rich foods. 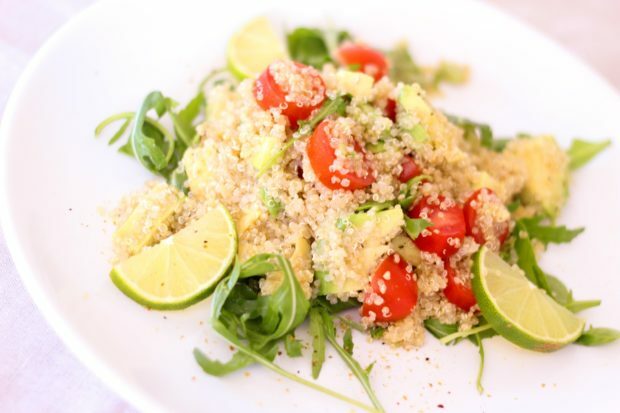 Quinoa is extremely high in important nutrients like iron, zinc, magnesium, potassium, calcium, and vitamins E and B. These nutrients can promote a healthy body and their deficiency can cause a few health concerns (3). Flavonoids are phytonutrients – plant-sourced nutrients that contain antioxidant and anti-inflammatory properties. Flavonoids can help to protect overall health by fighting off free radicals. The two main flavonoids found in quinoa are quercetin and kaempferol and studies have highlighted their anti-inflammatory, anti-cancer, anti-depressant, and antioxidant capabilities. Fiber is a carbohydrate that maintains one’s health beyond digestion. 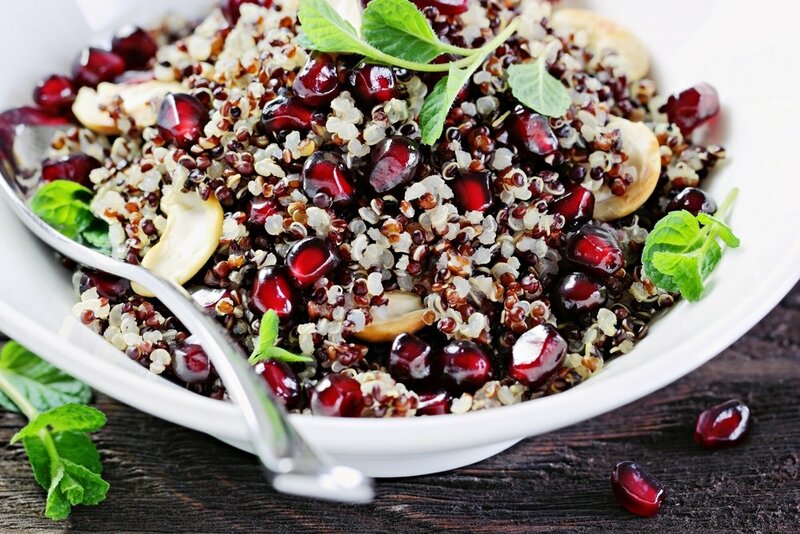 Being rich in fiber, quinoa can help to promote healthy digestion and absorption of nutrients. However, that’s not all. The fiber content can also help to protect cardiovascular health and aid weight loss. The form of fiber that does this is soluble fiber. Soluble fiber protects cardiovascular health by lowering the levels of bad cholesterol. High levels of bad cholesterol can increase the risk for diabetes, heart disease, and stroke. In terms of weight loss, soluble fiber increases satiety and by doing so, it signals the brain into preventing us from overeating. For a lot of people, going gluten-free seems like just another health fad that needs to end. However, for a few, going gluten-free is important for one’s overall health. Gluten is a protein found in grains such as bread and oats. Unfortunately, individuals with celiac disease and gluten sensitivity are unable to digest gluten. As a result, they search out for gluten-free foods. Gluten-free foods are sometimes created using high-refined starchy ingredients, such as tapioca and potato starch. These ingredients are quite unhealthy. Thankfully, quinoa is gluten-free and healthy thus it can protect your digestion and add more nutrient value to your meals. Amino acids create protein and are thus vital for overall health as protein is responsible for building and repairing tissues. Of these amino acids, nine are essential as the body does not produce them thus they need to obtain through diet. Quinoa is a complete protein because it contains all nine essential amino acids making it a great plant-based protein source for vegans and vegetarians. Like coconut, quinoa has begun to be touted as the ingredient your skin has always needed. While the B vitamins found in quinoa can help with skin pigmentation when eaten, applying it topically to the skin can also do the same. 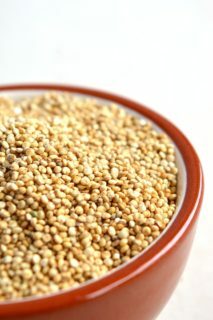 According to one study, the topical application of quinoa can hinder an enzyme that causes pigmentation. Quinoa can help exfoliate the skin by removing dead skin cells. 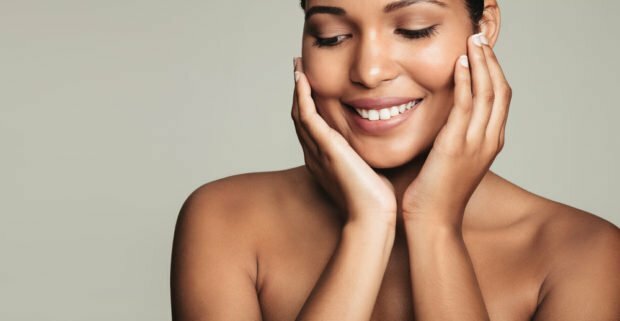 While you can make your own exfoliator, opt instead for exfoliators that list it as an ingredient. Quinoa also boosts anti-aging properties by focusing on collagen. Collagen is a protein that helps to keep the skin firm and supple. However, as we age, our levels of collagen decrease. While quinoa can’t help to boost your levels of collagen production, it can inhibit matrix metalloproteinase – the enzyme responsible for breaking down collagen. When buying quinoa, it is advisable to opt for fine and dry grains that appear fresh. Once purchased, store the grains in a cool and dry place in a closed container. While quinoa is nutrient rich, it also contains the anti-nutrients phytic acid and oxalates. These are synthetic compounds that can hinder the body’s absorption of important minerals and nutrients, particularly iron and calcium. In an effort to prevent this, it is important to soak or sprout quinoa prior to cooking. Once this has been done, quinoa can then be used to prepare porridges and soups, added to salads or ground into flour to be used for baked goods.